Your project requiring aggregates is in good hands! 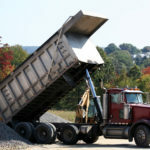 When you need aggregates for a project in the Owen Sound, Ontario area, there are two pressing matters that you have on your mind: a quality product and being able to get it delivered in the quantity and timeline you need. Here at Flesherton Concrete Products, we’re proud to offer a wide variety of ways we can deliver aggregates. We have dump trucks, stone slingers, dump trailers, live bottoms, and hoppers. We have a wide variety of equipment in sufficient number to handle the task at hand. You can count on us to keep your project on time because if we don’t feel we can reasonably deliver prompt and proper service, we won’t take on the job to begin with. The quality of our aggregates is second to none, as we’ve gained plenty of experience since beginning in 1985. Combined with our dedication to meeting our customers’ diverse needs and maintaining competitive prices, we are confident we are your best choice for getting the aggregates you require for your project. If you do not want to settle for anything less than quality aggregates and customer-centred service, call on us, and we’ll be happy to discuss your project. We deliver aggregates for a variety of projects, including using our slingers to provide the materials for under basement floors and weeping tile projects around the outside of a foundation. These are the types of projects where quality really matters, so trust our commitment to giving you the results you require. Call today to learn more. At Flesherton Concrete Products, we offer aggregates to customers in Collingwood, Wasaga Beach, Flesherton, Orangeville, Owen Sound, Barrie, Stayner, Mulmur, Shelburne, and Mount Forest, Ontario.